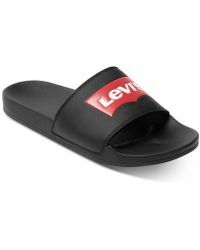 Inventor of the blue jean, the colossal Levi's brand is globally recognized for its innovation. 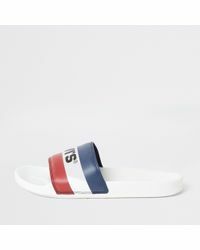 With nearly a century and a half of experience in designing and manufacturing, the label today still channels a pioneering spirit throughout all of its lines. 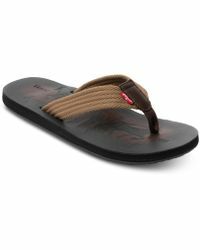 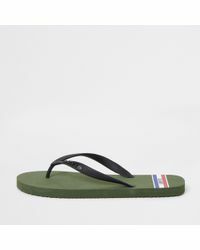 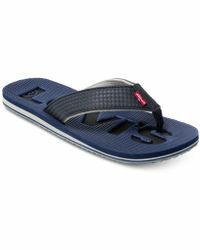 Men's Levi's sandals are crafted using optimal materials and include and padded footbed/midsole to provide an ultra-comfortable cushioning to the wearer. 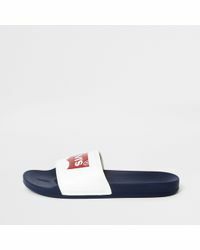 Embossed with the brands iconic logo, men's Levi's sandals are available in thong styles that were created to complement a casual outfit during the summer.